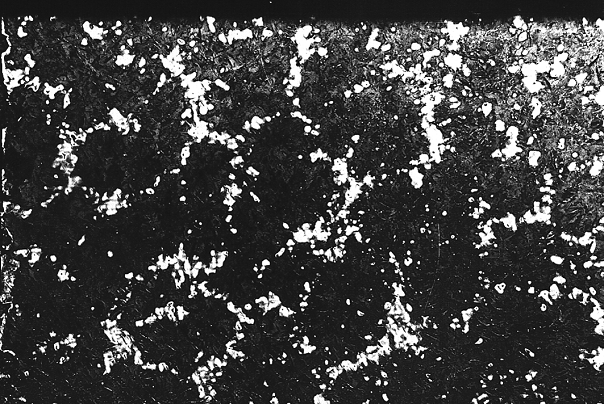 In cast iron with eutectic composition (see eutectic cast iron) the graphite eutectic is diffued during gray solidification (austenite graphite). The shape and size of these eutectic grains (Figure 1) and the graphite diffused therein depend on the growth of the grain, which, in turn, is influenced by the composition of the cast iron, the number of nuclei in the melt (see Nucleation), overheating, and the cooling rate. Therefore, the graphite form changes accordingly (Figure 2). (Figure 2a). Consequently it becomes clear that these elements are by no means independent and unconnected bodies. 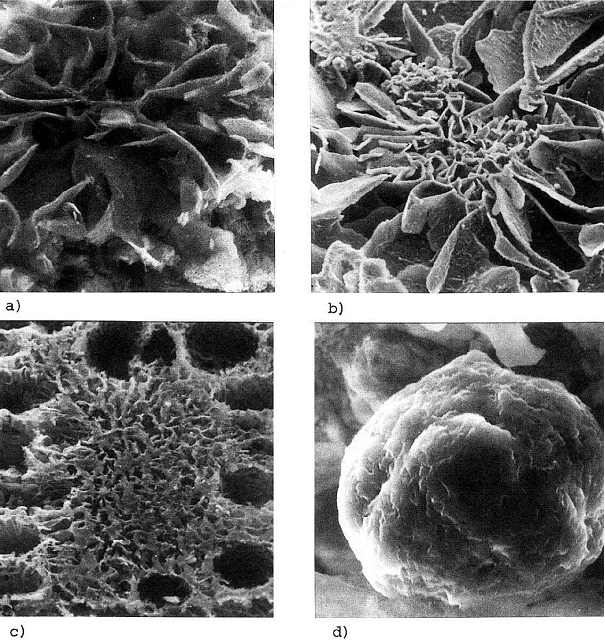 Since every graphite skeleton develops from a crystal nucleus, many eutectic grains and graphite skeletons (“cabbage heads”) are generated when a large amount of nuclei is available; however, at the same time growth takes place comparatively slower, which results in relatively coarse graphite. In particularly pure cast iron melts that are free of admixtures, or melts treated with magnesium (see Magnesium treatment) the graphite forms in spheroid shapes (Fig. 2d). During cooling of eutectic and hypoeutectic cast iron alloys, crystallization of the austenite-graphite eutectic takes place in the region of the eutectic temperature of the stable Fe-C system. Supercooling often occurs in this process as soon as the additional nuclei in the melt are activated and promote crystallization of the graphite eutectic. In melts that have not undergone supercooling, coarse primary graphite (C graphite, hypereutectic graphite) is predominantly diffused in hypereutectic cast iron. In contrast to that, flake graphite and rosette graphite (A graphite and B graphite, Fig. 2b) predominantly originates from melts with slight or moderate supercooling. Interdendritic graphite (D graphite and E graphite, Fig. 2c) is diffused with great supercooling. If the melt is treated with low amounts of magnesium, or in case of interfering elements in otherwise pure feed materials, vermicular graphite is likely to occur.